My Zero to Hero Blogging Challenge has come to an end. It feels like an end of a mini era, like I know have to start facing the blogging world on my own. The last challenge that I found really interesting was to create a recurring post, where I would regularly write about a particular topic. I was thinking about this feature for quite a while, and I decided that I would do a weekly post, always on a Saturday, about projects that I am working on, at that time or have been working on in the past week. It will be anything that I have on my knitting needles, to go into my sewing machine or am working on with any other craft. A lot of bloggers post these kind of updates as a “work in progress Wednesday” (followed up by a Finished Objects Friday) and you’d be surprised how much time I was able to waste today trying to come up with something equally as eloquent to describe my new Saturday posts. In my mind, I was playing around with something as simple as “Sandra’s Saturdays” or going “fancy” with “Super Saturday Stitches”. After much time spent scribbling S-words on a notepad, I have not quite been able to settle on anything that I really like. For now, I will leave these weekly posts nameless, and when inspiration hits me (or I get a suggestion from a follower *hint hint*), they will be christened officially. In the past week, I have started a new project, and I already know it will take me a small eternity to finish. 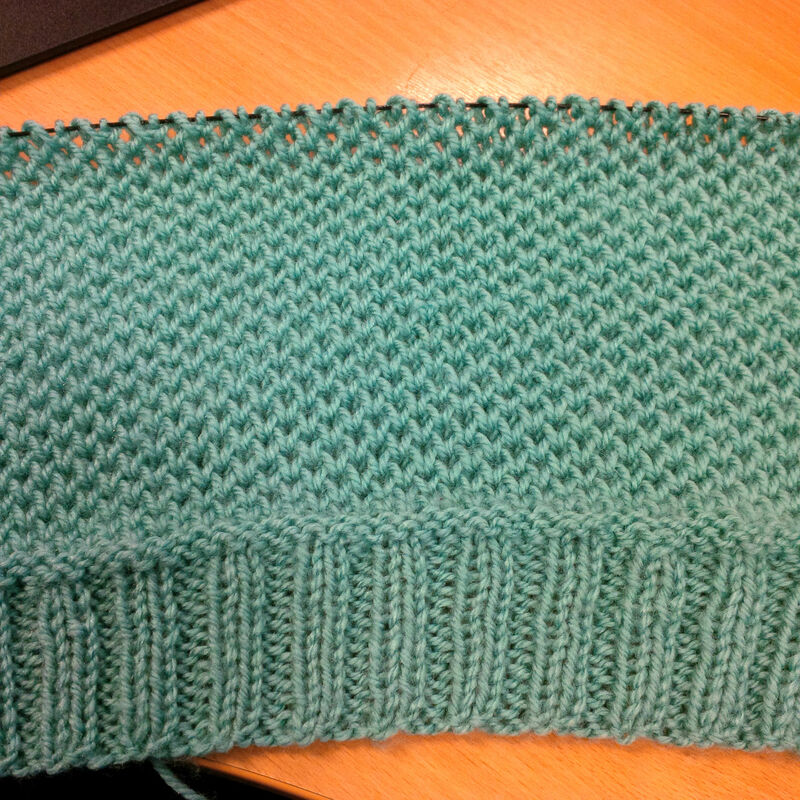 The pattern is the F477 Women’s Shrug and Hat (the link will bring you to the Ravelry pattern page) and it is the first time I have ever knitted in Brioche stitch. 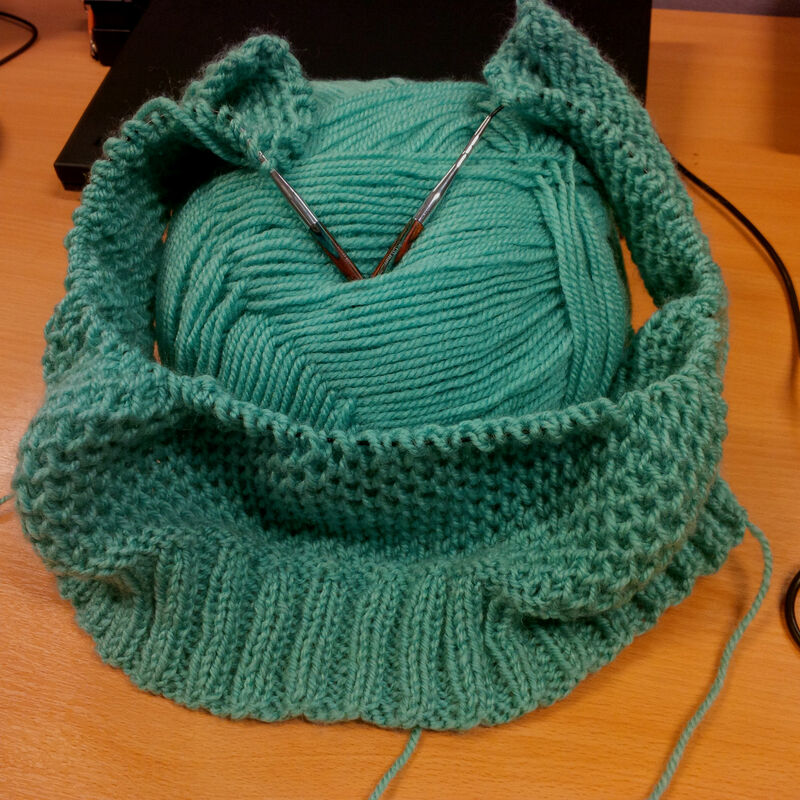 Quite honestly, if I had known the slow speed at which this pattern knits, I might not have started this project. 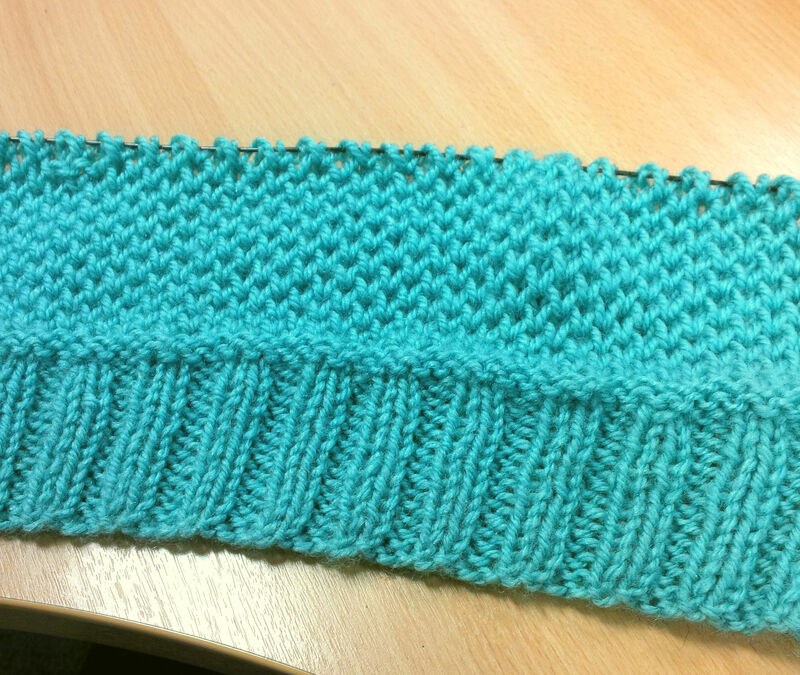 After 3 evenings spent on it, I am roughly 3” into the 45” Brioche stitch part of this pattern. I am using a yarn that I had lying around at home, begging for my attention, it is Stylecraft Special DK which gives me the correct stitch gauge asked for in the pattern, the row gauge is not as important, as the pattern provides length measurements instead of row counts, for how long the pattern should be repeated. I am using my 6mm circular needles, part of my Lana Grossa Interchangeable set. I have created a bad habit of starting projects and not finishing. Then, after they have spent month on the needles I decide that I actually need the needles for another project, pull them out and then frog the project. Stephen was teasing me last night, that he already knew that this shrug would never get finished and that he would find it lying around somewhere, once I lose interest. Just that statement alone is making me stubborn, to prove him wrong. If you are on Ravelry, you can find my project here, and this is my profile page. Even though I have been a member of Ravelry for a while, I have not been very active apart from using it as a pattern library. I think it is time to dig a bit deeper into the community.